About us - Plast Form Service IM s.r.o. 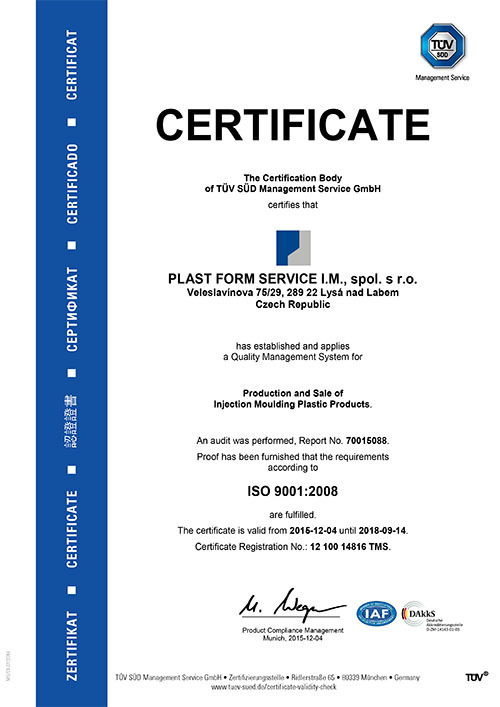 Our company, initially known as PLAST INFORM SERVIS v.o.s., was established in 1990 as a purely Czech enterprise by former SVÚM employees. It originally started as a technical office focusing on plastic injection moulding technologies and providing consultation and training services. Nowadays we supply technical products mainly to the automotive and arms industries. We provide a full range of services including moulds development and design, their production, trialling and testing, series production of moulded parts and their follow-up installation or assembly. In 2017 the company completed the reconstruction of its production site in Lysá nad Labem. Furthermore, we have built new areas for the continuously expanding quality department and recently started to focus on modernizing our machinery and its automation. In 1992 the same owners also established a plastic injection moulding plant, originally known as EX MORE PLAST s.r.o., registered in Čelákovice. 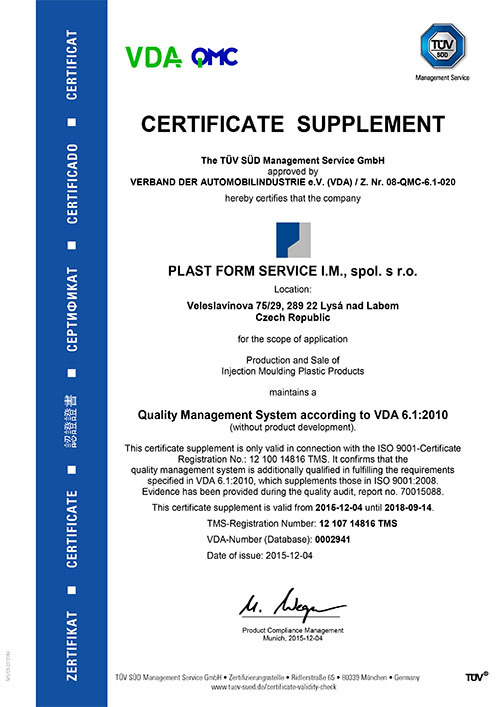 In 1996 both companies were renamed PLAST FORM SERVICE s.r.o. and PLAST FORM SERVICE IM s.r.o. respectively, having maintained these company names until today. In 1999 the plastic injection moulding plant was relocated to Lysá nad Labem where both companies are currently registered. In 2017 the company completed the reconstruction of its production site in Lysá nad Labem. Furthermore, we have built new areas for the continuously expanding quality department.